I spent a year talking to teens (and teachers and experts, too) about their lives—what makes them tick, the stresses they face, their “take” on the world in which they live. 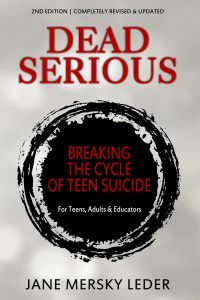 All of this talk as I revised and updated Dead Serious: Breaking The Cycle of Teen Suicide. Since the publication of the book in late January, I’ve done a fair amount of guest blogging, media interviews in both print and radio, and a lot of posting and tweeting. I worked with a PR group that charged too much money for what they accomplished. 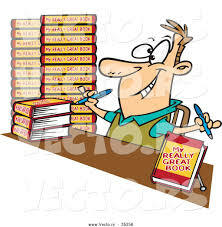 And I’m currently working with NewShelves, a marketing group that specializes in marketing to libraries and bookstores. Oh, and PumpYourBook.com set up a virtual blog tour. In an interview posted on She Writes, I was asked what I learned about teens during the research for Dead Serious. The question caught me by surprise for a brief moment. It shouldn’t have. I learned about the additional obstacles LGBTQ teens face. On top of all the normal challenges of adolescence, gay teens may be forced to deal with physical and emotional abuse, rejection by family, increased drug and alcohol use, homelessness, unwanted outing and, yes, a suicide attempt rate 4 times that of “straight” teens. 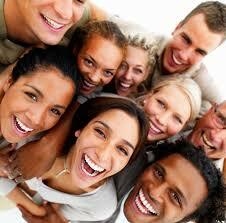 I learned how teens can help other teens by listening, showing that they care about a friend’s problems. Most importantly, teens should be encouraged to seek a trusted adult who can help connect a troubled friend to a trained professional. I learned how important and effective it can be for schools to adopt proven suicide prevention programs. The most successful work from the ground up with students paving the way. These programs train peer mentors who are “on the job” for at least a year. I learned how resilient today’s teens can be. With the support of parents, teachers, therapists (sometimes medication) and friends, they have the inner goods to pull back from the brink and understand that things do get better. It’s just a matter of time.